Between the many announcements coming out of Mobile World Congress (MWC) this week and the news that continues to be made even outside it, Linux-based mobile operating systems seem to be dominating more than their usual share of the headlines over the past few days. Mozilla certainly made the biggest splash at MWC with its potentially game-changing Firefox OS news, but also emerging on Monday was word that LG is acquiring webOS. Both of those, of course, come hard on the heels of Canonical's latest Ubuntu announcements—not to mention all the many Android products being rolled out this week. It's worth remembering, however, that there are also other Linux-based mobile contenders out there, and while they may not have equally splashy news to announce this week, they're making significant progress nonetheless. 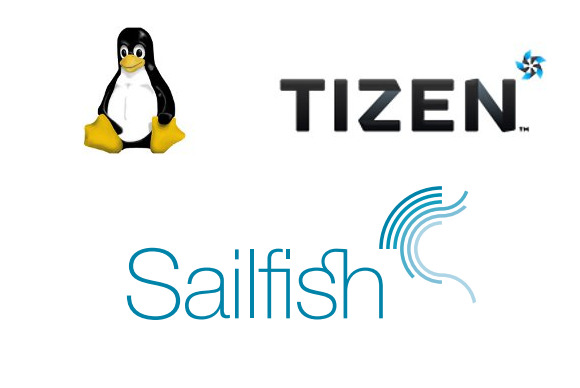 Two particularly noteworthy examples are Sailfish OS and Tizen. Linux fans may remember Sailfish OS, the reincarnation by Finnish startup Jolla of the Linux-based MeeGo operating system. Launched by a team from Nokia's MeeGo N9 group along with members of the MeeGo community, Jolla plans to design, develop, and sell new smartphones using Sailfish OS, its new mobile OS based on MeeGo and Mer. The latest news on this project is that as of today, Jolla has released an alpha version of its software development kit (SDK), which is now available as a free download for 32- and 64-bit Linux users. “We believe there is a clear need for a modern and independent mobile OS that enables free competition and innovation, without predominant control by a single player,” Jolla explains on its website. As for the Linux Foundation's Tizen, it, too, recently saw a fresh SDK released, and as of today, it looks like Samsung is finally folding its old Bada mobile OS into Tizen. That's a plan we first heard about more than a year ago. Not only that, but—following up on news from early this year—it now looks like Samsung could release Tizen phones as early as July. This week at MWC, Intel has reportedly reiterated its optimism about Tizen as well. Do you think there's going to be room for all these new contenders? Please share your thoughts in the comments.